During the winter months homeschool moms can begin to struggle with remembering why they chose to homeschool while fighting the winter blues. As a homeschool mom I know that there are countless reasons that I love homeschooling my children, but I often forget even the most important reasons when I struggle with depression in the wintertime. 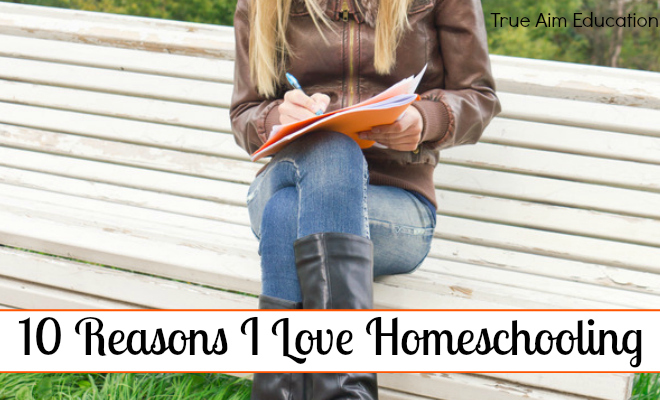 One of the best ways that I have found to remain positive in regards to homeschooling during the winter is to remind myself of all the reasons why I love homeschooling. In my heart I know that I do love homeschooling, but sometimes my thoughts try to take over and I have to choose to remember why I love homeschooling. We don’t rush through lessons or textbooks just because we have to get it done before we move onto the next grade. If we need to work on fractions for a few weeks to get them down pat, we do. If diagramming correctly is a struggle, we’ll focus on that as long as it takes before we move onto the next thing. Homeschooling is a journey, not a race to complete the lessons by a particular date. We don’t have to try and squeeze 175 days of homeschooling into a 9 month time period. We use all 12 months of the year to homeschool and always go over the 175 days required by our state. Year Round Homeschooling does not mean we homeschool 365 days of the year, it means that we use the entire calendar year to our advantage and homeschool throughout the year taking breaks when we’d like. By choosing to homeschool our children, we aren’t just giving them an education, we’re making memories. The first time I heard my son read, it wasn’t just an educational accomplishment, it is a memory that will last my whole life. When my daughter beamed with pride after writing her first storybook, the light in her eyes is a memory I will never forget. We don’t send our kids off to go on a field trip and wait for them to come home to tell us about it. We go together and learn about the animals in the zoo, take a hike and see amazing views from fire towers and experience learning together! We don’t wake up our kids to get started with school, they wake up when their bodies have gotten enough sleep. Kids need sleep in order to grow and to learn well, so we ensure they have a consistent bedtime and don’t rush them to get up and moving in the morning. As our children are learning, so are my husband and I. We relearn things that we’ve forgotten from our school days and learn things that we never knew before! Homeschooling truly is an educational journey for the entire family! Thankfully homeschoolers have the freedom to choose the curriculum they want to use in their homeschool. Sometimes our homeschool curriculum choices change from year to year, so I’m very thankful that we have the choice! We don’t just focus on academics in our homeschool. Our children’s character training is just as much a part of their homeschool education as Math, English and Literature. When I worked outside the home, the time we had together as a family was limited. I was stressed and had too much to do while home from work for a few short hours, so having quality time together as a family was nonexistent. It is a true blessing the amount of quality time we have together now as a homeschool family. It’s amazing, but as I’m homeschooling my children I realize just how much I am growing and learning throughout the process. It isn’t just about educating my children, homeschooling involves so much more than education. With each passing year, as a homeschool mom I’m realizing just how much I am capable of, how much my kids have taught me, I see where I’ve grown with each step I leave behind and what I still have yet to learn that lies ahead. Homeschooling truly isn’t just about educating my children. Homeschooling is about educating the whole family. 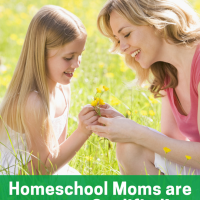 I love homeschooling because it is life changing for my kids and for myself. 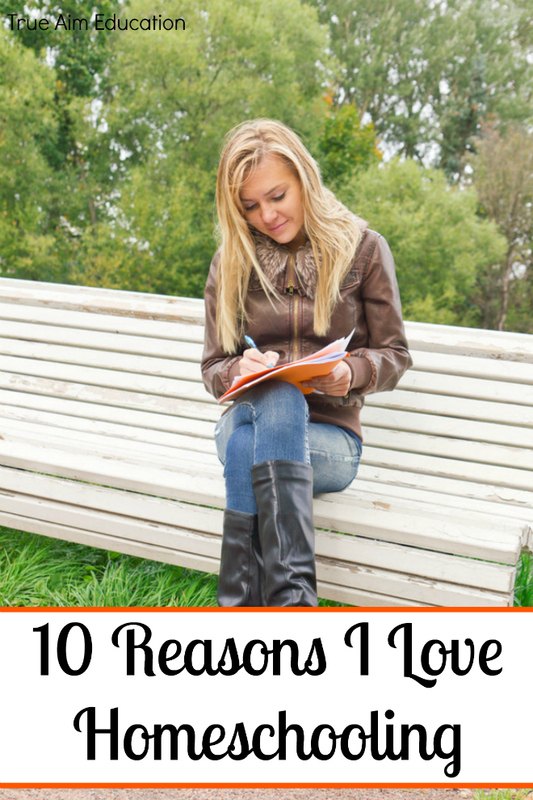 Why do you love homeschooling your children? I can tailor our curriculum around my child’s learning style. I can make it fun for them – helping my child become a lifetime learning – a lover of learning. It takes significantly less time to teach my own children than they would be in public school. We use that time for playing, serving, exploring the world around us, and connecting as a family.